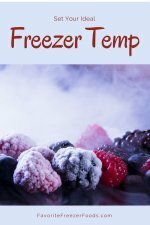 A collection of tips and techniques, recipes and photos, this book is great for the beginner or serious freezer cook who wants a reference guide to freezing food. Written with European audience in mind, the recipes include ounces, not cups, and the first chapter has a section on the Star System; a British Standards system indicating recommended storage times for commercially frozen foods. But don’t skip this book because of that. Mary Norwak also writes about running costs of a freezer, insuring the freezers contents, choosing a freezer, what special features to look for, installing, cleaning and defrosting your freezer and what to do during a power out, just in the first chapter. There is a whole chapter dedicated to packaging and labeling your frozen foods and meals coving things like portioning, packaging methods and organizing the freezer. She also covers buying and cooking in bulk, storage life for different foods and meals and what to avoid freezing. The chapters on food types give detailed instructions for preparing, freezing and storing different foods and are listed in alphabetical order. The veggies start with globe artichokes, Jerusalem artichokes, asparagus, aubergine, broad beans, French beans and runner beans. Every chapter starts with instructions for preparing and freezing the individual components followed by recipes for dishes that can be frozen as well. The recipes are basic and classic using common ingredients. For example the fruit chapter includes recipes for Apple Sauce and Cranberry Sauce, Strawberry Jam, Lemon Curd, Orange Sorbet, Spiced Apples and Fruit Fritters just to name a few. The chapter on dairy includes Quiche Lorraine, Mac n Cheese, Ice-Cream Layer Cake and homemade ice creams. The index is easy to use and sorted by ingredient and then recipe. 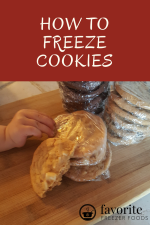 The recipes aren’t ideal for the western cook because you’ll have to do some conversions, but Home Freezing For All still deserves a place on your shelf if you’ve ever wondered how to freezer certain items. Return from Home Freezing for All to the homepage of Favorite Freezer Foods.